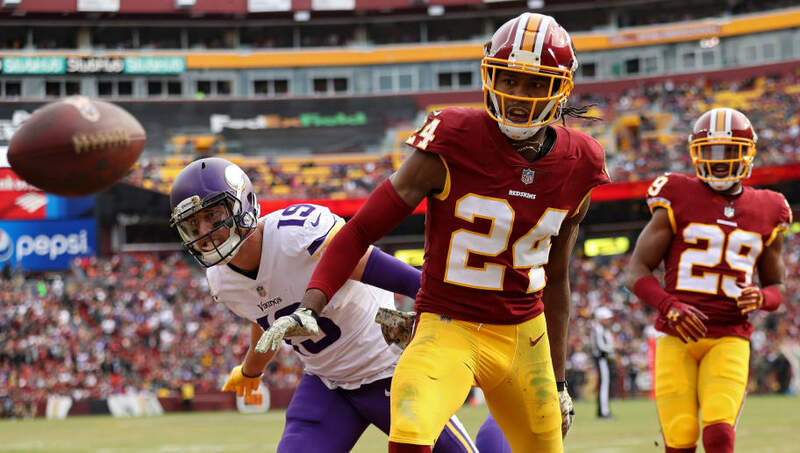 When you look at Washington cornerback Josh Norman do his thing out on the field, your eyes won't deceive you. He really is every bit of a lockdown artist. With a glance at the stat sheet in 2017, however, you might think he did not have his best year considering he didn't record a single interception after posting three in 2016 and four in 2015. ​​Last year, Norman dropped into coverage 491 times and quarterbacks threw only 49 balls to his man. Per Pro Football Focus, that's most significant rate of avoidance the league among cornerbacks who played at least 400 snaps. Putting this into perspective, the average cornerback in the league gets targeted every 6.5 coverage snaps. Considering that ​Norman was hurt earlier in the season and he was playing through a rib and lung injury, it is a testament to his pure skill that quarterbacks still did everything they could to avoid him. That's respect, plain and simple. When it comes to evaluating cornerbacks, interceptions don't tell the whole story. Far from it. Just watch Norman smother opposing wideouts for a series or two.